My oldest son got married at the beginning of summer. The photographer was really good. He has a talent for looking at the surroundings and knowing what would make a good picture. On some of the shots I wasn’t in, I was observing. I occasionally wondered why he positioned people the way he did. When I saw the nice results, I understood. He saw what I couldn’t at the time. As a massage therapist, I observe people all the time now, whether they are clients or not. I look at how people walk, how they sit and try to get comfortable, their posture, and how much they carry around. I see the wince of pain from their neck or back, how they favor one leg, the stretches they do, and how they rub an area that is bothering them. For many, I can tell they have an issue that is causing pain or discomfort. I can also see that what they are doing will eventually cause an issue (like carrying a heavy bag). Like a good photographer, I have to see what isn’t visible. I can’t see your muscles, but I know where they should be, how they should be acting, and what they should feel like. My vision for you is one that doesn’t involve the pain you are living with now. I can see you walking out after an appointment with a smile. Your pain is better and you are relaxed and happy. If somebody has been suggesting that you could benefit from a massage, they likely have the same vision. They have experienced the results of massage and want you to do the same. Ask them or me whatever questions you may have and get comfortable with the idea. It’s just a way to help you feel good and enjoy your life. 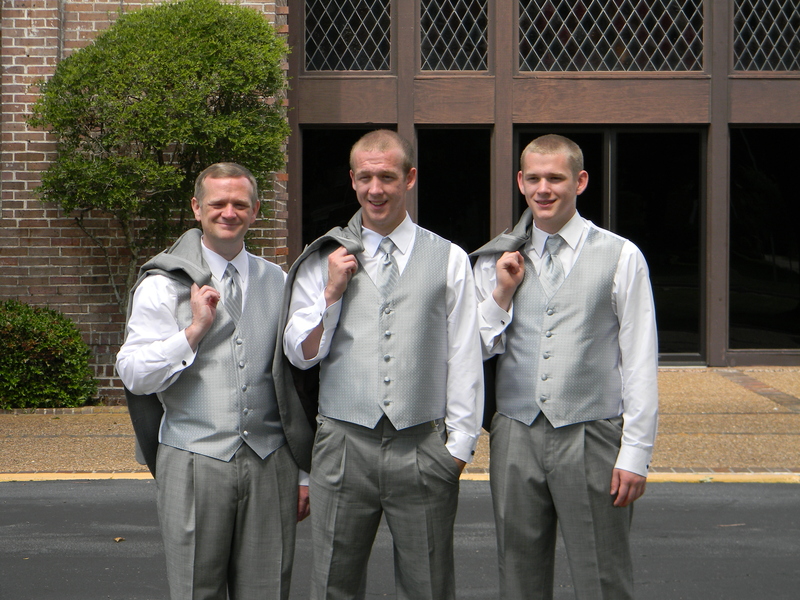 Here I am with my two awesome sons. As a massage therapist, I’m sure you also have a different viewpoint when you are out in public “people watching”. Differences in gait, shoulder height, limps all become signs of what is going on with someone’s body. I’ll bet your clients love your observation skills – it makes you look like a magician when you find the source of their pain. Thanks for the insight! ← How often should I get a massage?